Scored for flute, clarinet in Bb, violin, cello, piano. Movements: I: The night dances, dulling and stilling II: The warm mist of your sleep III: Ariel "White Moon" is a musical composition inspired by the poetry of Sylvia Plath, specifically the poetry from her collection "Ariel", a title derived from a poem of the same title. The moon is a recurring motif in Plath's poetry. Departing from the traditional depictions of beauty and elegance, the image of the moon for Plath is a symbol of alienation and barrenness, bringing forth other themes of death and despair. Though entitled White Moon, this piece serves to evoke more of Plath's general themes rather than to simply present a musical painting. There is an overarching allusion to the night, but each of the three movements presents starkly contrasting images of the night, and this contrast is also reflected through the differences in musical language. Nevertheless, all three movements are strongly unified by common motivic material, though fleshed out in different ways. 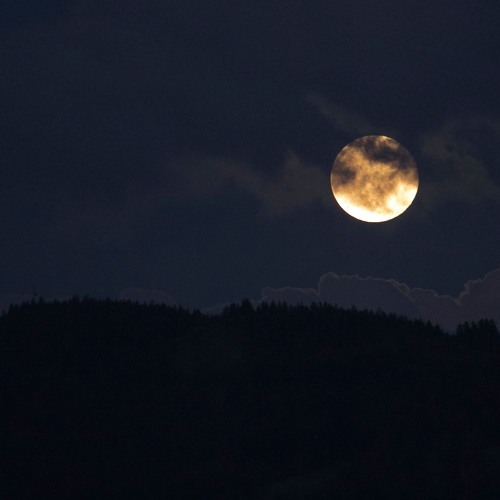 "In the deep of the night, when the land is soaked in slumber, the Moon gazes on silently with a cold detachment. She remains aloof, oblivious to those who have been left behind in the night. She is no Giver of light and warmth, though she creates the illusion of being so. Instead, she is simply a mere onlooker who passively holds onto the remnants of daylight. But, to the lonesome insomniac, she is his only companion in the still of the night. Her presence, however cold, is palpable - she is always there. She is the insomniac's only source of solace, however intangible. Though remaining cold and detached, her solitary presence is in itself a sympathetic statement to the insomniac. Standing proudly, white, pure, and cold, she remains there, throughout the indefatigable, deep, dark night." - Jon Lin Chua Flute: Martha Chan Clarinet: Kamalia Freyling Violin: Winnie Law Cello: Stephanie Chen Piano: Ania Vu (Anh Dang Minh Vu) Recorded on 3 Feb 2014 during the Composers' Forum Concert at the Kilbourn Hall, Eastman School of Music, Rochester NY.